This is a fairly simple script that uses a scheduled task that runs every 4 hours, looks at the members of a given AD security group, including nested groups, and applies a Lync policy to each member. The name of the AD security group and the type and name of the policy are all configurable. The ActiveDirectory and Lync PowerShell modules are used to complete this. The actual moving parts are pretty simple – really just two lines of code. But some extra error catching, installation code, and safeguards make it a tad bigger. Caveat – users get policies when they launch the Lync client. So even though a policy might be assigned to a user, they won’t see any change until the client is restarted. Caveat #2 – if you configure this script with several scheduled tasks to handle different policies and different AD groups, make sure users don’t end up in multiple groups, or you could have unintended results. Also removing a user from a group does NOT revert their policy back. The reason I didn’t add that is because moving a user from one group to another could cause problems if the script set them back to a default policy, yet another group needed to change it to a different policy. Download the script from the DOWNLOAD section below. Open it in your favorite text editor. The last thing we need to do in the script file is define what KIND of policy we’re going to grant. And adjust accordingly. The allowed values are Archiving,Client,ClientVersion,Conferencing,ExternalAccess,HostedVoicemail,Location,Mobility,Pin,Presence,Voice to represent the various types of policies you can apply to a user. The default is ExtnerAccess. Next, ensure that the server where the script will run has both the ActiveDirectory and Lync PowerShell modules installed. Domain controllers typically have the ActiveDirectory module, and Lync servers have the Lync module. Install the appropriate ones using these steps. 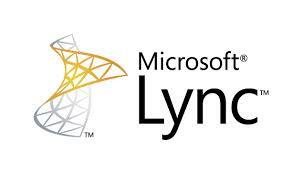 To install the Lync Server Management Tools, which includes the PowerShell module, install the core components. See Install Lync Server Administrative Tools for details. This will ensure that both modules are available. The ActiveDirectory module is used to get the members of the AD security group, and the Lync module is used to actually grant the policy. The script must run as a member of the CsUserAdministrator or CsAdministrator groups, as those have the rights to assign policies. Next, open PowerShell and run the script with the -install switch. The script will prompt for the password of the currently logged on user, and then create the scheduled task to run the script every 4 hours. The scheduled task will run every 4 hours, with a start time of when you ran the -install option. You can open the scheduled task in Task Manager and adjust as needed. Note that it may take a while before the policy is visible on the user account due to AD replication.